As the gas cloud, called G2, edges closer to the supermassive black hole Sgr A*, astronomers at Northwestern University are hoping to learn new information on growth of supermassive black holes. Evanston, Illinois — Right now a doomed gas cloud is edging ever closer to the supermassive black hole at the center of our Milky Way galaxy. These black holes feed on gas and dust all the time, but astronomers rarely get to see mealtime in action. 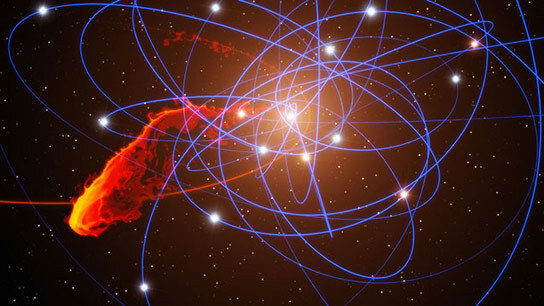 G2 we may catch a massive black hole in the act of snatching its next meal,” she said. Be the first to comment on "Astronomers Ready for G2’s Encounter with Supermassive Black Hole Sgr A*"